VLC Media player is one the most popular yet free Video player for all computer systems. 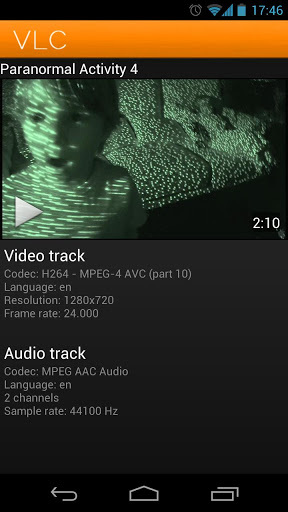 Recently VLC Team have released its VLC media player’s Android version in Google Play store for free. Currently VLC media player for Android App is only in beta stage. You can expect more changes in futures like enhancements in user interface and more support for all kind of Android devices. 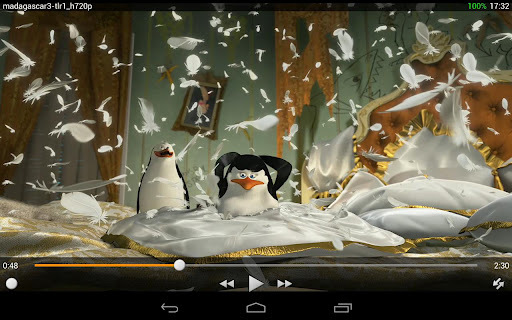 VLC Media player for Android has come with most features that is available in Desktop Version. Although the player is in beta stage, it misses some of the features like Hardware decoding works only with a limited set of hardware, Performance improvements are missing. Even though most users reviewed this App in Google Play store are said which is the one of the best Video player App for Android. VLC for Android™ plays most local video and audio files, as well as network streams (including adaptive streaming), like the desktop version of VLC. The Player currently supports ARMv6, ARMv7 and ARMv7+NEON processor devices. You can isntall this app in Android from version 2.1 (platform-7). The app size varies depends upon your device. Click the following like and download the free VLC media player for your Android device.